We have done A LOT of travel this year. Mostly work related for both of us or to visit family, but I feel like we are really getting the hang of travel with a toddler (more on that soon) and just getting things back to normal! I had a few requests recently to share my post travel routine so here it is! Unpack ASAP: Nothing annoys me more than seeing suitcases after a trip. Just ask Andrew ha! I feel like it’s hard to feel relaxed until everything is unpacked and put in its proper place. We have started to put all of our dirty clothes in one suitcase (we take a laundry bag) and our clean clothes/clothes we did not wear in another to make it easier! I also put away all toiletries, toys of Liam’s, and anything that isn’t laundry related ASAP! Do ALL THE LAUNDRY: When we got back from a week in DC we had SO MUCH LAUNDRY! It took me all day to do but I did 4-5 loads and went ahead and did towels, etc so they were fresh too! Nothing is better than having all your laundry clean and put away. Deep clean/Face mask: No matter what I take a long shower after a flight or travel. I do a deep condition on my hair and a face mask after. My skin is usually so dry and cruddy so this makes me feel really clean and fresh before I go to bed. Stock the fridge: Usually I am in charge of unpacking and Andrew runs to the grocery store. We stock up on tons of fruits/veggies and lean proteins as well as healthy snacks. We do tons of meal prep and get ready for the week ahead. We mostly fly home on Saturdays when we travel! Get on the right track health wise: I always go to the gym the day after travel, or I do a workout at home. We make sure to get in a walk with Liam (weather permitting) and we all eat super healthy. We try to workout and eat healthy when we travel, but nothing beats being able to cook your own meals. Even if you eat healthy when you travel, take out is take out and restaurants are still restaurants. Don’t use it as an excuse: What I mean is don’t keep eating badly, not working out, and not unpacking as an excuse because “we just got back.” Of course you just got back, but that doesn’t mean you can’t get your life in order. Having these things done will reduce stress and you will feel so much better. These tips are great for long or short trips. I do the same things every time and I never feel stressed after a trip or have that “we are never traveling again” feeling. Do you have a post travel routine? What is it? I never unpack completely. Sometimes the suitcases don’t even make it out of the car. Ridiculous I know. I need to try your way. This is an awesome post because I never hear anyone talk about it! But the first 8 hours after a trip can be the most exhausting as you figure things out! Yes to unpacking right away! 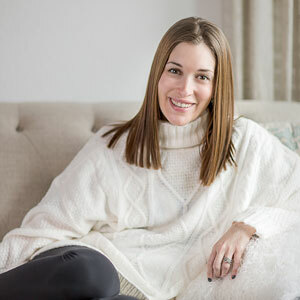 If I would let my husband get away with it, he would leave the bags in the car for weeks at a time-but I like to bring things right in, get everything taken out and sorted back into where they belong, and start a load of laundry right away. It just helps bring chaos to order! Props to you for being able to do all of this when you get back from vacation! It definitely takes me a while to get back on track. Great post!! I’m usually pretty exhausted after vacation – it’s like that feeling of needing a vacay from vacay. I do always unpack pretty quick though! I’m so bad about completely unpacking when I get back from a trip, especially when I have back to back trips. I need to get better about that. I love this blog post! I also never feel quite settled until the suitcase is unpacked and all the laundry is done… although it usually takes me weeks to accomplish that! (she says shamefully). For real though – these are things I aspire to! The deep clean / face mask is so real because when I’m traveling I often don’t have my full skincare routine. These are great tips! I am the worst about unpacking immediately… sometimes I’ll just keep my bags packed until the next trip I’m on. Def need to work on that!! After I travel, I usually deep condition my hair too but I also do a really good foot scrub. My travels tend to involve tons of walking, and my feet are always in rough shape after. 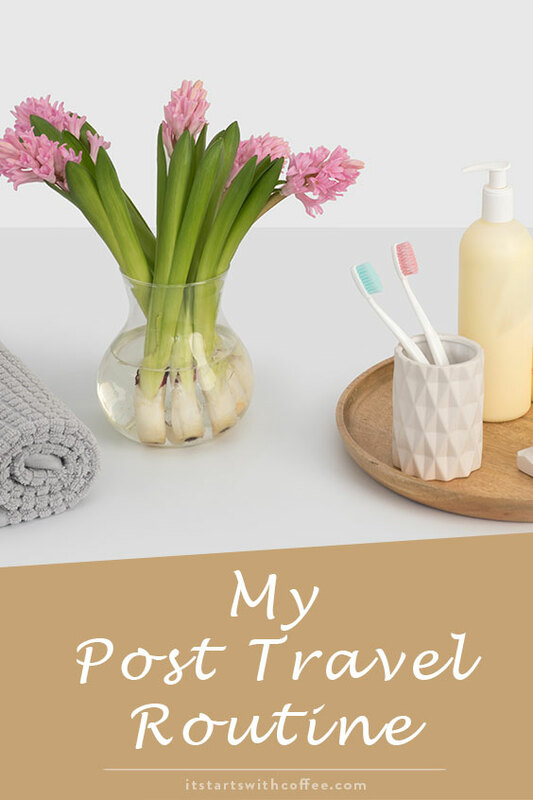 I have a pre-travel routine but I’ve never really thought about a POST travel one! Such a good idea to have one. I try to unpack as quickly as possible because if I don’t, then I never will! We make a point of unpacking and doing laundry right away. If we don’t, we might not get to it for a long time! I hate coming home from a trip only because of all the laundry awaiting me. I’ve left my clothes packed for a week or longer and it was not a wise decision. I unpack immediately. Sort laundry and put suitcases away. As for toiletries , I have most necessities that are always in my travel bag, such as deodorant, toothbrush, shampoo, moisturizer. I even have foundation and other makeup that is always ready to go . No need to pack and unpack. I usually just have a few favorites to take along and unpack. I am right there with you on the suitcase! I’ve gotta put it away first thing! Love your tips! I just got from NYC on Friday! The first thing I did was removing all the dirty clothes from my suitcase and start on the laundry!